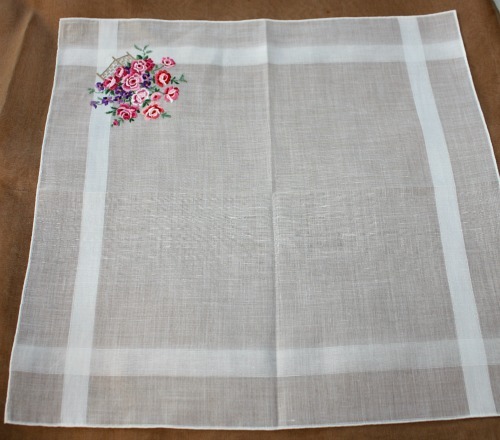 Beautiful collectible Vintage Swiss Handkerchief, of finest quality sheer linen, with a stunning and large hand embroidered design of a flower basket in one corner. 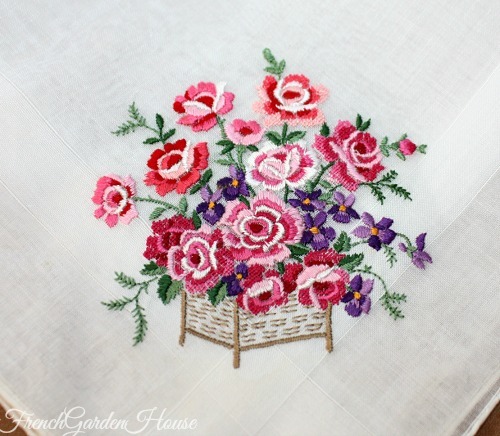 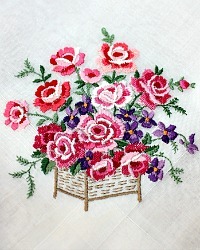 The flowers, Pink Roses and Purple Violets are expertly embroidered in silk floss, with tiny, precise stitching, this has hand rolled hems. 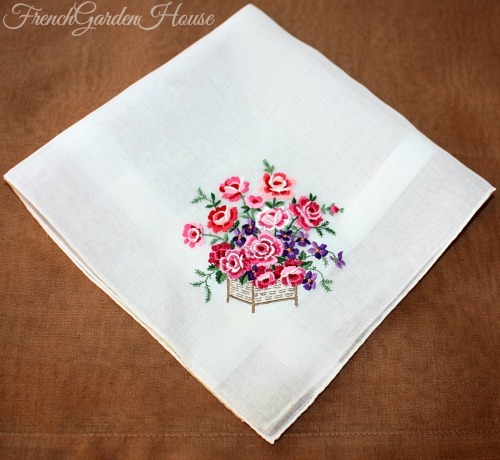 Unused, this is a lovely and decorative addition to your collection of heirloom antique & vintage hankies.